In 2016, we spent 4 months eating for $30 a week while my husband John was out of work. For a family of 3, that’s low. Like, really low. Is that enough to live on? And can you actually eat healthy for $30 a week? I’m happy to say that we did pretty good! Not perfect, all-clean, all-organic good, but good enough for us! Here are the steps we took to ensure we got at least some sort of healthy food in our diet. When I say “simply”, I mean our recipes have only a few cheap ingredients and we don’t buy expensive meat. A roll of frozen ground turkey at Aldi is currently $1.89, and I’ll buy one, maybe 2, for the week, depending on what we’re having. I also try to buy hot dogs/sausages when they’re really cheap for some variety. But other than that, along with having a ham and a couple chicken breasts in the freezer, we don’t eat a lot of meat. Breakfast usually consists of eggs, cereal, banana, toast, muffins, and oatmeal/baked oatmeal bars. Lunch is always leftovers from dinner, which saves us a LOT of money. Our dinners are usually super simple: Rice and beans/burritos, pasta with sauce, quesadillas, breakfast for dinner (pancakes, waffles, biscuits and gravy). See how a lot of the above meals only contain like two or three components? Eating simply means that I use less ingredients and more whole foods to make things healthier. Side items are always very simple, too. It’s usually something like roasted potatoes/sweet potatoes, zucchini, or carrots, or frozen corn/broccoli/green beans, or just straight-up fruit like strawberries, blueberries, or applesauce. A simple side of just fruits or vegetables keeps my budget in check but makes sure I’m getting some healthy food in us! I only buy the produce that’s on sale. 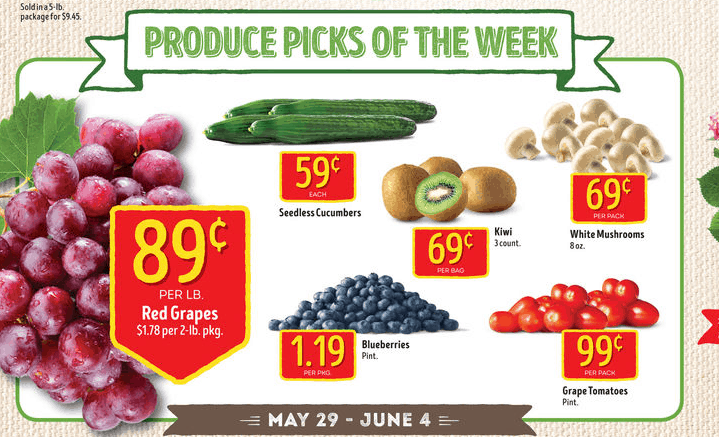 I look forward to the Aldi ad every Sunday, because the front page lists all the produce special buys for that week. When you’re on a tight budget, every penny counts, which is why I get excited when blueberries go on sale for $1.00 because that means I can now buy two packages instead of one. Cheap produce means you can buy even more healthy food for less. I buy bananas every week because at 44 cents a pound, I get a ton for my money! The problem comes when I want something that’s not on sale. I love apples, but at $2.99 for a bag, I can’t justify buying it, especially when I’m the only one that eats them. That week, I’m better off buying 3 packages of blueberries for the same price and then everyone can enjoy them. 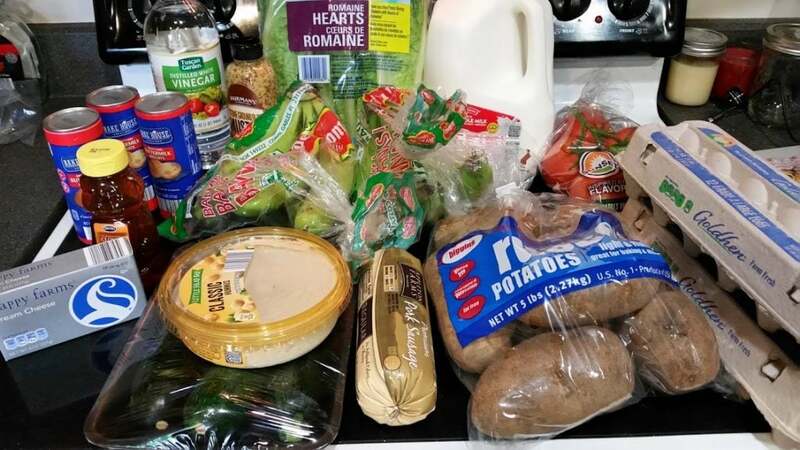 You also get creative with your meals when you buy a ton of the same item. A big package of romaine lettuce means you can make salads one night and use them on sandwiches the next night. Blueberries can be eaten as a side with dinner or put into muffins or pancakes for an awesome breakfast. You’re saving money and eliminating food waste at the same time! I meal plan every week. This has been my saving grace the entire time we’ve been married, but especially now. Breakfast, lunch, dinner, and snacks are all carefully planned out to make sure I’m using up everything I buy. And by having a plan every week, I’m able to buy the best foods at their lowest prices. If you’re new to meal planning, make sure you check out my post on meal planning for beginners! I spend about an hour on Thursday mornings planning out the next week, and then I do my shopping on Friday and Saturday. I make my own bread and versions of boxed mixes/canned goods. I talk about this a lot, but I love making my own bread. Whole wheat loaves, English muffins, and hamburger/hot dog buns regularly make our rotation. Making bread yourself means less ingredients, no preservatives, and less money spent on the store-bought. I know you can get a loaf of bread for $1.00, but when you have a $30 grocery budget, that dollar can be stretched to use for other things. 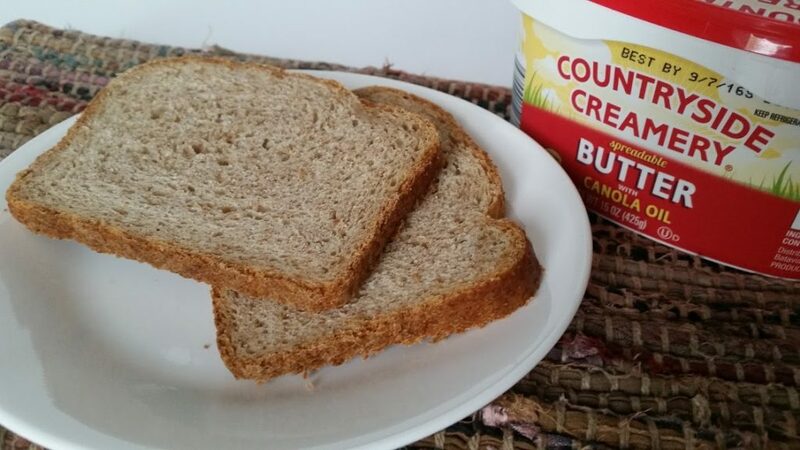 The ingredients cost a little more at first, but once you have them, you can make multiple batches for less than buying the bread at the store. The same goes for things like cookies and cake. You can buy a box or bag of the mix (Which I do at times), but once you have the ingredients at home, it doesn’t take much more time to make them yourself. I also buy bags of dried beans instead of cans, and I cook them all in the slow cooker, just adding seasonings. No preservatives and you can control how much salt you put in; beans also freeze very well for future meals! Now with all that being said, am I perfect? Definitely not! If you look at some of my recent shopping, you’ll see that I still buy things like granola bars and store-bought cookies, among other things. Sometimes, in extreme cases, it is cheaper to buy something pre-made for $1.00 than it is to spend $6.00+ on all the ingredients in the same week; I do it all the time. So this post isn’t meant to make anybody feel bad at all; I just wanted to give some ideas as to what we do in this frugal time to eat healthy and save money. What else would you add to this list? Share in the comments! Can You Eat Healthy With Coupons? Is it Cheaper to Eat Healthy? I always say that you either pay in money or pay in time/effort. That is what you have shown here. 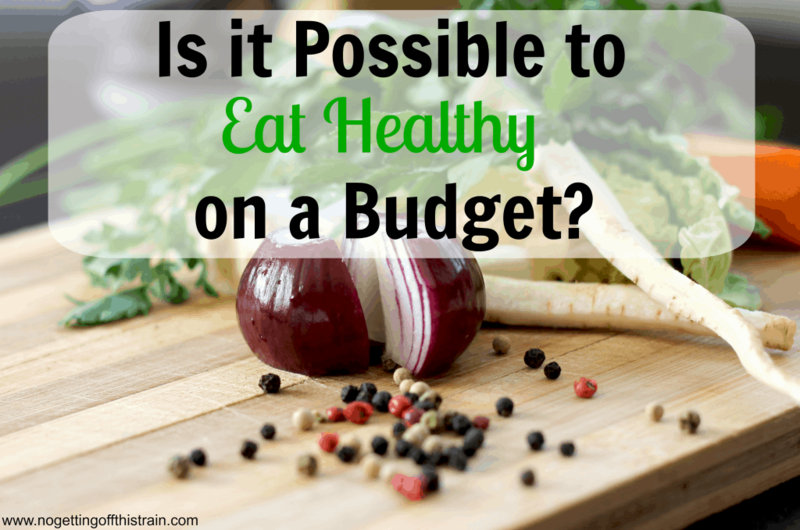 Yes, you can eat nutritiously on a tight budget…you just have to work at it. 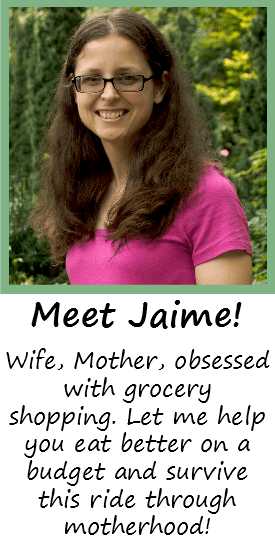 We do these same things: Menu plan, prepare homemade foods, use a lot of beans and oats, etc. We eat very well on a limited grocery budget. Thank you! It can be tough at times, but definitely possible. Excellent points. I still need to learn to meal plan though tbh. Once you get meal planning down, it gets easier and easier! I think the hardest part is sitting down and coming up with a budget and menu for the first time.